Recently I traveled to and in Tamriel, meaning I played Elder Scrolls Online. In the following paragraphs I intend to talk a bit about my first impressions. I am not yet max level, but obviously have been in the RvR already. The MMO, that is the most similar to TESO is certainly Guild Wars 2. Not only do the share the action combat, but they also share the very low amount of abilities, that are avaible at the same time. There is a huge difference in the total amount of abilities tho. 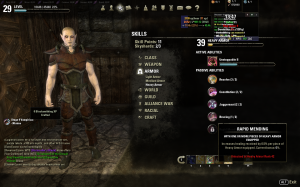 While Guild Wars is pretty much limited on a single line per Weapon, TESO adds lines for class(3 per class), race and curses like vampirism or lycanthropy. Additionally there are of course lines for armor as well. 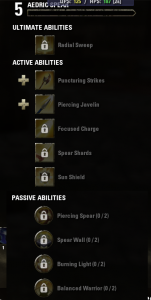 Sadly, those mainly feature passive skills and just a single active one. In my case that one increases armor and resistances for a short while, making heavy armor even harder to kill. As visible above, I decided to turn my high elf into a vampire. That makes me even more flameable than usual, but allows me to regenerate Magicka(Mana) and Stamina faster. Fire is one of the most common sources of damage in the game, so that right now I certainly can’t be counted among the true tanks. My long term goal is building something similar to a swordmaster from WAR. Right now I think I have way too much cc and not enough damage, but at least the look is getting more and more similar. Similar to WAR, CURSE provides a huge amount of Addons. Additional Addons can be found in the larger pool at ESOUI. Next FoundryTacticalCombat , which is pretty much a must have for anyone with hots, dots or cc, I obviously also had a look at other addons. 😉 The mentioned one displays the timers for example. Even if some persons think, that the game provides enough information, I really doubt anyone can keep the effcts on his screen to low, that all important stuff can be seen. I certainly don’t see if I’m bleeding while I’m glowing from casting heals. 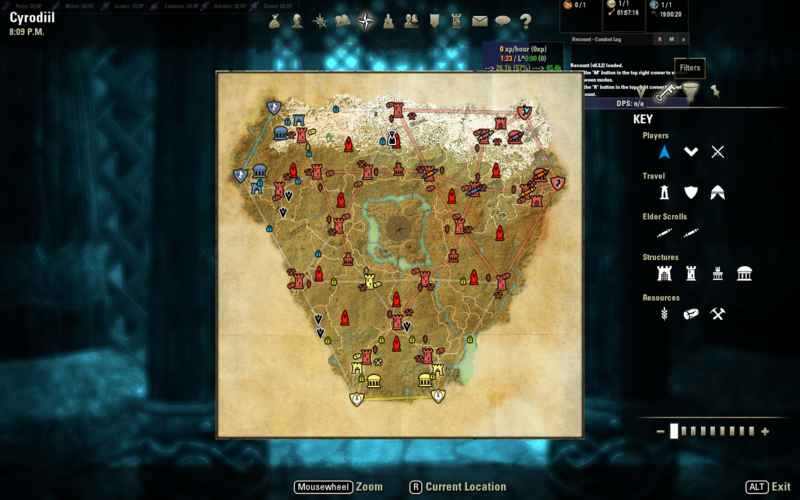 The PvP part of TESO is a zergfest at the moment. Large groups of players try their best at zerging down keeps, that are defended by NPCs and players. The defencive bonus of the castles helps the factions in full-ish instances, because of giving the third faction some room to breath. Sadly, there are a lot of nearly empty or completely one sided instances as well – those are good for leveling but don’t really provide fights. Due to server-controlled healing targets and server controlled defensive effects, organised groups have a harder time countering zergs. How would you beat something, where every defensive logic is provided by the server and can’t be countered with better organisation? Single target heals of the templar target a random, wounded target in range. That generally means, that a target is healed, that you didn’t intend to heal, often killing the intended target outright. Area of effect heals are an alternative, because they make it way more likely, that the intended target is also healed. Sadly, the mana costs are pretty high and the very low mana regeneration just can’t keep up. Obviously there are ways to help counter the lack of regeneration. Vampires and High elves both have boni in that field for example. While that helps reducing the impact, it sadly doesn’t fix the basic problem – lack of control of who to heal. RvR-Servers are considered full pretty early. I haven’t seen fights with more than 50 players and that seemed like half of the server’s population. Those that collect skyshards end up with a lot of left over skill points, since there is just not enough useful stuff to buy with them. Did those of you, that tried TESO have different experiences? What do you think about the balancing in PvP and especially that of healing? 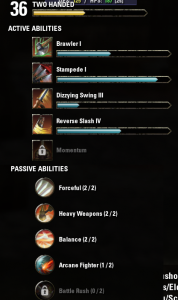 Do you have a better ability combination to make my character “swordmaster”-like or is mine fine so far?